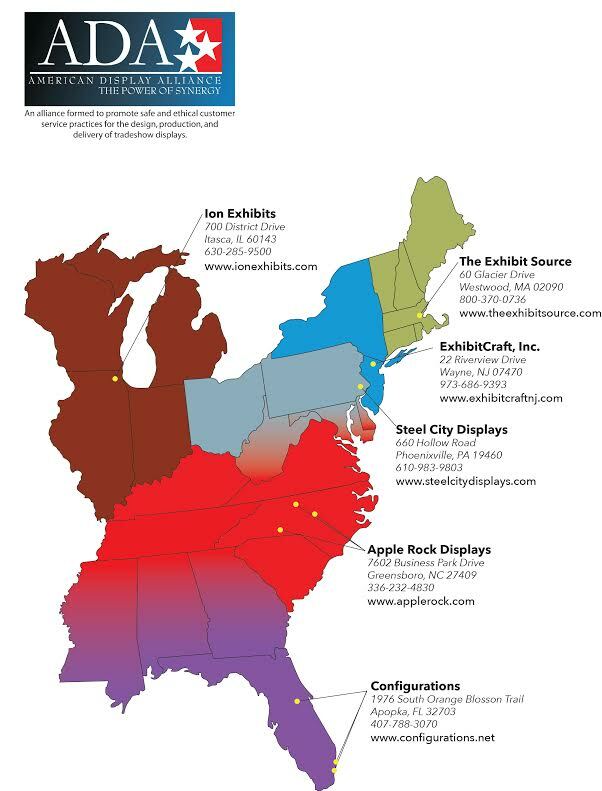 The American Display Alliance was designed to provide easy, efficient and practical ways for companies to receive Trade Show support on the smallest items to the largest structures available. Collectively, we provide an expansive choice of portable displays and custom displays for rental or purchase. Our members offices are located along the US East coast, but we are able to deliver Trade Show support services anywhere in the US.